KATHMANDU, May 30 (Xinhua) — Nepali Prime Minister K.P. 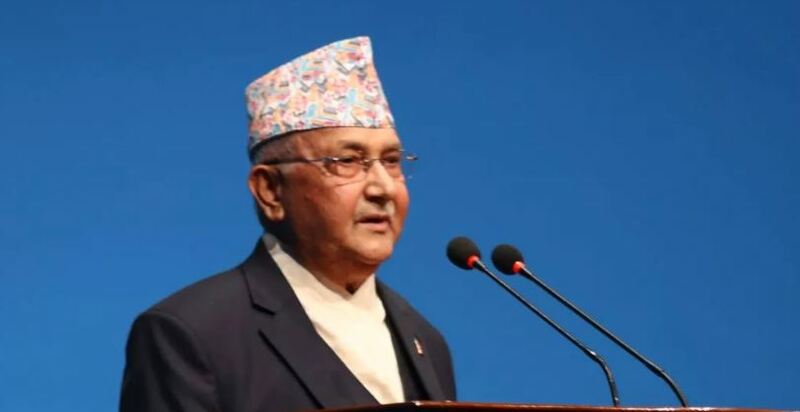 Sharma Oli said on Wednesday that his government has set five key priority areas to make the country prosperous. Inaugurating a two-day international conference on Marxism and Socialism organized by Nepal Communist Party to mark the 200th birth anniversary of Karl Marx in the Nepalese Capital, the prime minister said that his government has concentrated all its efforts on socio-economic development to realize the motto of “Prosperous Nepal and Happy Nepali”. “Our priorities are very clear, the enhancement of nationalism, institutional development of democracy, strengthening of national unity on the basis of social harmony, achievement of social justice and equality by ending all forms of discrimination, inequality and suppression and attainment of economic development and prosperity within a short period of time,” the prime minister, who is also the chairman of Communist Party of Nepal, said. Oli said that his government’s goal is to graduate the country from the Least Developed Countries (LDCs) status by 2022 and to transform the country to the status of a middle-income country by 2030.